Petroleum Express is looking for motivated individuals to join our family. We're hiring both experienced and inexperienced drivers to haul fuel to our customer base. We take pride in our drivers and value their experience & attention to safety. Check out the testimonials from our current and past employees. Contact us today for more information. 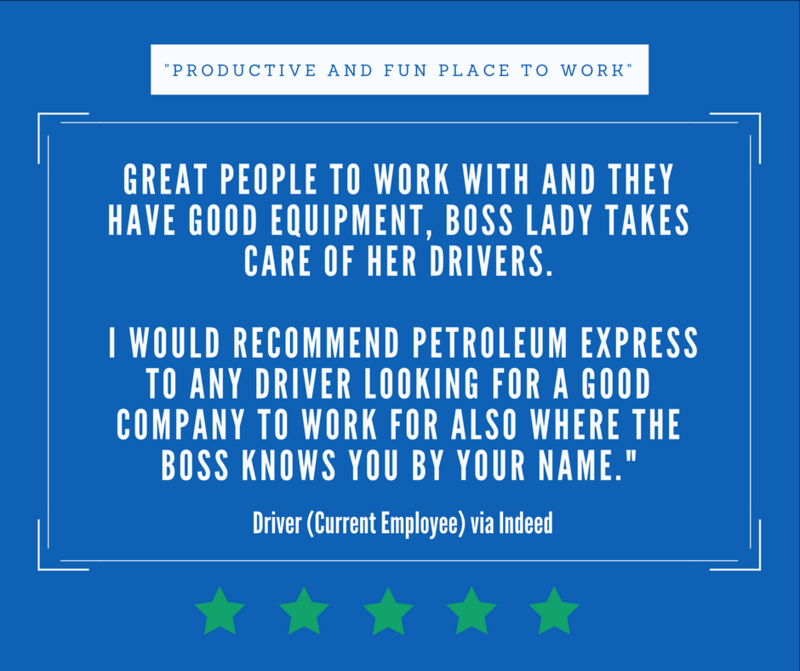 Interested in joining our team of petroleum drivers? click here to fill out an application!